This month sees the release of the latest edition of firstwriter.com’s bestselling directory for writers. The new edition provides details of over 1,200 literary agents, book publishers, and magazines, including revised and updated listings from the last edition, and over 380 brand new entries (that's 30% new listings). The previous edition of the handbook was bought by writers across the United States, Canada, and Europe; and in the United Kingdom it became the number one bestselling writing and publishing directory on Amazon.co.uk within just a few weeks of its launch. The new edition continues this international outlook, giving writers all over the English-speaking world access to the global publishing markets. Readers of this edition can also benefit from insights from Andrew Lownie, of the Andrew Lownie Literary Agency Ltd, who offers tips and advice on how best to approach literary agents. Francis Sookraj recently acquired a publisher using firstwriter.com's database of publishers, after exhausting the contacts in the Writers' & Artists' Yearbook. We asked him about his writing, and how he found success. fw: Thanks for taking the time to talk to us, Francis. Tell us a little bit about your book. 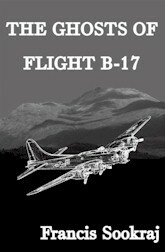 FS: It's called The Ghosts of Flight B-17. It's about a ten year old boy called Billy MacDonald ,who lives in Scotland with his widower dad with a drinking problem. One day, Billy is by the Loch, he sees an American B-17 flying by. He is befriended by the ghosts of the crew. They tell that their plane is in the loch and they want him to find it. Because there's something valuable that will change him and his dad's life for the good. fw: How did you go about writing it? Did you plan the whole plot before you started? FS: I usually write in longhand on a pad and then I type it. I occasionally make notes, but I never know what is going to happen next. It took me three months to write. fw: Was it your first attempt at creative writing? FS: No, I have written several books that never got published. fw: How did you go about trying to get this book published? FS: I'd had the Writers' & Artists' Yearbook. I must have worn that book out because I wrote to all the agents and publishers that I could find, and all I got was rejection. Or "it's good but it's not for us". All the replies you can think of, I heard it all. It was tiring and at times very frustrating, because you will get lots of rejection. But I persisted. After subscribing to firstwriter.com I eventually secured a deal with a publisher, and he's been very helpful. fw: What did you find most effective about the firstwriter.com service? FS: I liked the way they would email me agents that dealt with my kind of book. fw: How long did it take you to place your work? FS: I will say two years. I lost count how many places I approach. Roughly 100. I dealt with it calmly and kept on trying. The rejections were polite and courteous. fw: Which publisher accepted your work in the end? FS: They are called Ex-cell-ence Publishers. fw: And how is the publishing process going? FS: Early days yet. I'm very excited and happy that my book is available for people to read. To get anything either in print or ebook is an achievement. I'm pleased with what my editor did to my book, he has done a good job. fw: Do you have any tips or advice for other writers? FS: Yes. Just keep on trying. Write a lot and you will get published. I was on the same boat, but I never gave up my dream. fw: Are you planning to write another book? FS: I'm thinking on my next project that I'm working on. At the moment I'm concentrating on getting enough coverage for this book. I want lots of people to read my book and enjoy it. fw: Thank you for your time, Francis, and best of luck with all your future writing! Publishes horror, suspense, and/or gothic short stories and poetry. Send submissions as Word documents by email. Publishes horror, suspense, and/or gothc short stories and poetry. Send submissions as Word documents by email. Christian magazine publishing articles on Bible doctrine, current social and religious issues, Christian living, Bible topics, textual/biblical book studies, prophecy, personal experience, and poetry (traditional, free, and blank verse). Prefers email submissions. See website for full guidelines. Small press publisher publishing at least three new titles a year in the Action / Adventure, Fantasy, Horror, Mystery, Science Fiction, Suspense, and Thriller genres. See website for full submission guidelines. Currently only considering books for digital release. As an alternative to traditional publishing, also offers book publishing services at author's expense. Magazine publishing material from and about Africa and the Diaspora. Publishes short stories, novel extracts, poetry, creative nonfiction, essays, reviews, and interviews. See website for full submission guidelines and online submission system. Non-profit independent literary press, publishing poetry and sponsoring an annual poetry competition. Following the success of last year's micropoetry competition, the Centre for New Writing at the School of Arts, Languages and Cultures, University of Manchester has just launched a #micropoem14 competition. Are Too Many People Writing Poetry? We are in the midst of a poetry renaissance. There are many signs of the poetry revival in our midst. Hundreds of small poetry presses. Reading series in local communities. Def Poetry Jam and Brave New Voices on HBO. The proliferation of MFA programs at universities. Robin Becker reports that when she began attending AWP (the annual conference of writers sponsored by the professional writers' association), about a thousand people attended each year; in 2014, over 11,000 people attended. You don’t research a novel, you research a world, and you better get it right, because today’s readers demand that even fiction writers be reliable witnesses. It only took Sandi Kahn Shelton 17 years to write her first book, but once she sold that there was no turning back. Author Regina Brooks has over 20 years of experience as a literary agent. She begins the book with a set of rules for engaging young adult readers. These rules are: to convince the reader the protagonist is one of them; not to condescend to your readers; to read current young adult fiction; to forget about commercial considerations; and to forge new paths.